In the development phase, we draw on our long years of experience in the fields of optics and injection moulding technology. We assist you during the entire development phase. Feasibility studies and risk analysis as well as photometric simulations help to develop and optimize your lens and optical system. A key aspect for the efficiency of the polymer optics is the right material choice. We advise you in detail about the properties of plastics such as transmission, refractive index, thermal stability or adhesion of optical coatings. Ultra-precise tool manufacture forms the basis for the quality of the polymer optics in series production. Besides moldflow analysis we use our years of experience in constructing moulds. 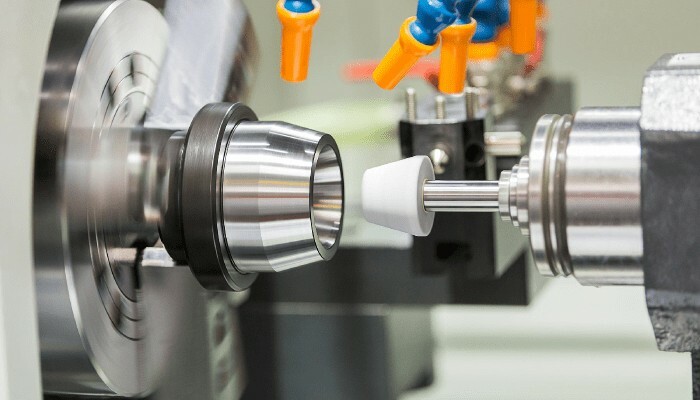 The right tool design includes the number of cavities, gating system, injection points, mould temperature control, rejection and sprue separation. Critical processes such as cooling concept, filling and packing phase and shrinkage are analyzed in advance. The results are taken the tool concept for efficient series production process. Using ultra-precision machining, we manufacture high-precision tool inserts with optical surface accuracies. A surface roughness of 2 nm is possible depending on the geometry of the mould. Prototypes to evaluate the optical function of the system we manufacture either by cutting technique or prototype tool. The injection molding technology is designed for economic series production of the highest quality replication of polymer optics. 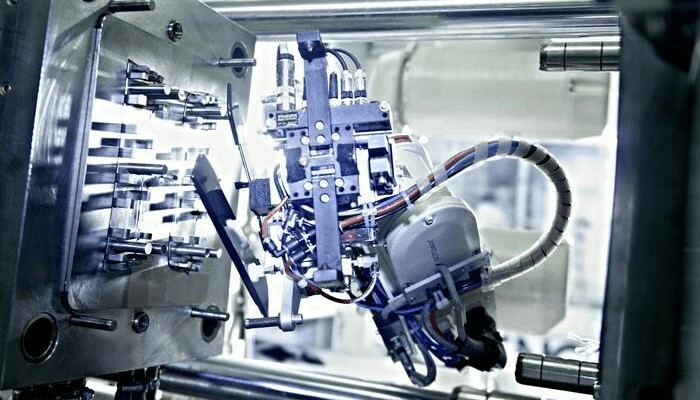 Controlled air-conditions and injection moulding machines with clamping forces of 25 to 800 tonnes provide optimum usage for every application – 24/7. Innovative automation and total control of process parameters ensure high-quality series production - for large volume series with multiple cavity moulds as well as for small series. Additionally we offer injection-compression technology. Especially thick-walled polymer optics can be manufactured by injection compression without sink marks at with high contour accuracy. 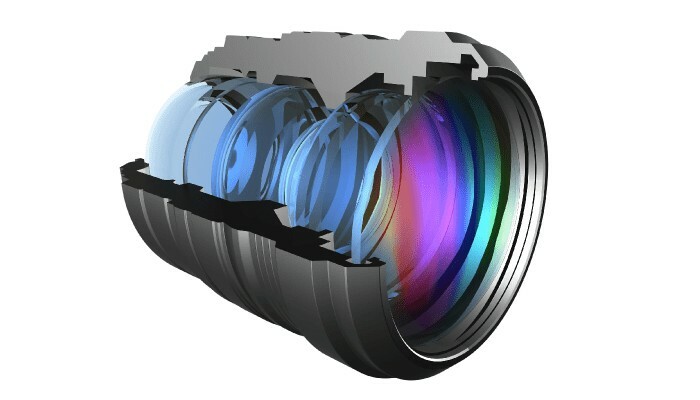 The number of layers, the respective layer thicknesses and the difference of the refractive indexes of the layers determine the property of the optical coating. The combination of the parameters generates interference effects that produce transmission- or reflection-effects. Antireflection coatings (AR), highly reflective coatings (mirrors) and filter coatings are the most common polymer optics coatings. Antireflection coatings improve transmission and reduce so-called ghost images. Highly reflective coatings maximize the reflection of a single wavelength or a defined spectral range. The technologically sophisticated optical coating is processed with our PVD coating system. Placed in our air-conditioned production facility short ways from manufacturing of the polymer optics to the optical coating ensure high quality. For quality assurance we measure and record both product and process quality. A metrology lab equipped with 3D coordinate measurement system, optical profilometer and interferometer we measure product specifications, e.g. surface roughness, shape accuracy and dimensional accuracy. The process quality includes the quality process control and process documentation. 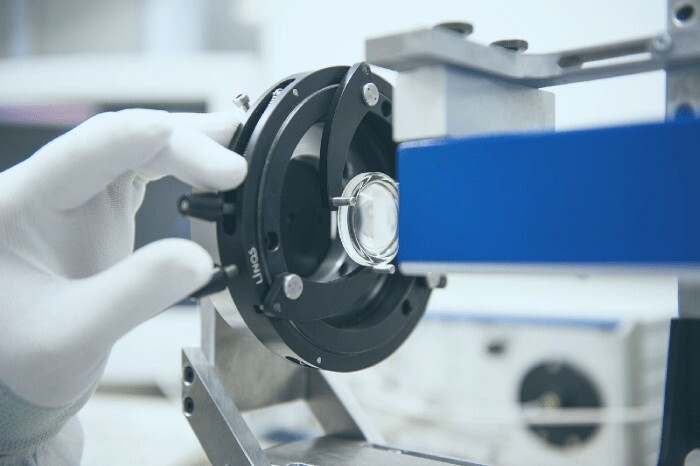 Besides continuous measurements of the polymer optics in the metrology lab self-inspections are fully documented in our cloud-based quality system. The analysis of directional characteristic, e.g. luminous flux or illumination level, will take place in our photometric lab. 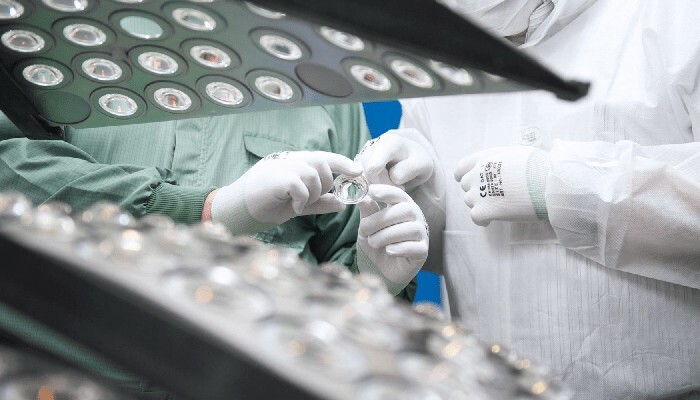 Our certifications ISO 9001, ISO 13485 and MHLW # 169 (manufacturing control and quality control of medical devices and in vitro diagnostic reagents) underline our own quality requirement.